Beloved Irish author Maeve Binchy finished the manuscript for “A Week in Winter” days before she died in July after a brief illness. 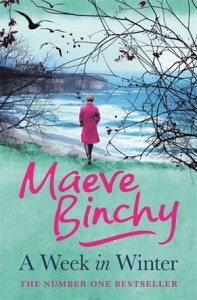 Her final novel, published posthumously, shows Binchy at the top of her writing game. 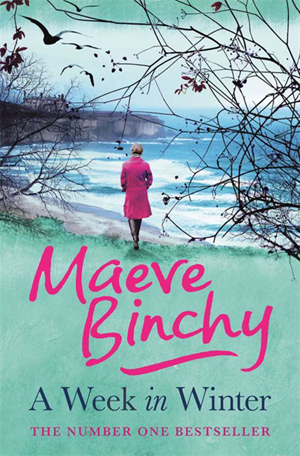 Set in a small, fictional Irish coastal town where everyone knows each other, Binchy introduces us to a plucky, resourceful middle-aged woman named Chicky Ryan, who works tirelessly to fulfill her lifelong dream to buy the decaying Stone House mansion and build it into a holiday resort. A married couple, both doctors, who find themselves at a spiritual and professional crossroads, having witnessed far too much sickness and death. Binchy writes beautifully about the importance of community and of people being restored to life, especially after their dreams and plans fail or when their worries and fears consume them. “A Week in Winter” is a bittersweet read for Binchy fans, many of whom will savor her final book and lament all of her untold stories. A literary treasure in the truest sense, Ms. Binchy will be missed.